Perfectly positioned in the heart of Epping’s retail precinct with cafes, restaurants, speciality retail and Epping train station right at your door step. The proposed new Jardine residences bring world class city designs in a high rise architectural master piece to Sydney’s highly emerging North West precinct. 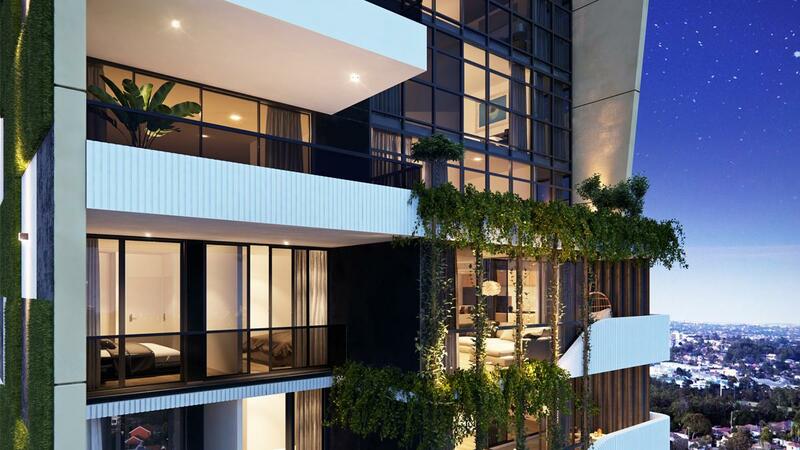 Jardine will provide 22 levels of opulent living, all apartments feature full height tinted glazing to maximise views, apartments from level 8 and above will provide panoramic district views across the North Sydney skyline and Sydney CBD skyline. Luxuriously appointed throughout, you will feel as though you live in a 5 star hotel all year round. Lush vertical gardens interact with timber privacy screens and ribbed, curved concrete to sculpture a true work of art. At the heart of each residence is a gourmet kitchen with Miele appliances, stone bench tops, an abundance of cupboard space, large sinks and matte black tap ware. Each apartment will feature wide timber floors, 100% wool carpets, ducted air-conditioning, video security and car parking. Just 25 mins from the Sydney CBD, you can also enjoy nearby Macquarie Centre, universities, golf or the thriving Chatswood commercial hub (just 4 stops away). *Images and information may be generic across the building and may not apply to any one particular apartment.